May 31 is the Feast of Pentecost. Beginning with Great Vespers on Saturday Evening at 5:00 we celebrate the sending of the promised Holy Spirit upon the Apostles of Christ. 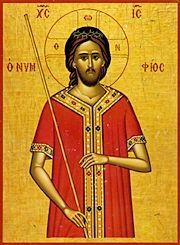 We will offer Matins/Orthros at 9:00am Sunday and the DIvine Liturgy at 10:00 followed by the Kneeling Vespers prayers. Then we will continue our celebration with a picnic and special oratorical festival presentations by our teens at Homer Lake.